See what is going on at your home. Our fire and carbon monoxide alarms save critical time in an emergency. Manage your security from home, while on the road, or on vacation. Vector is one of America’s leading security companies, providing Uniformed Security Officers to businesses that need constant vigilance. Our trusted technology has been field-tested for years. When it comes to security, we don’t believe in “one-size-fits-all” security systems. What’s right for one business may not be right for your business. That’s why we create a security solution to fit the needs of your organization. And if those needs happen to change, or if new opportunities evolve, we’ll be there to make sure your security fits your situation every step of the way. How do we do this? By asking the right questions. Getting to know your business objectives. And listening. Then we find the right combination of products and services that suit your unique demands. Create logins for employees, vendors, etc. Safe Trust Security offers different options to pay for your commercial security system. Business can purchase the equipment and pay the installation charge as an outright capital expense. Or they can lease the equipment from us, paying the lease and monitoring fee on a monthly basis. Video surveillance keeps you connected to your company no matter where you are. With our video system, you can take still photos, record video clips, enable motion-triggered settings to alert you via text message and automatically begin recording. You can also create archived video clips, remotely adjust camera views and even turn cameras on and off. Our Monitoring Center meets the highest industry-established quality standards to ensure reliability and responsive monitoring in the event of an emergency. In the case of a break-in, our security system will trigger audible and visual alarms to ward off intruders. The system also notifies our award-winning 24/7 Monitoring Center so operators can notify you and dispatch the authorities. Our burglar alarms also offers additional features like user-friendly control panels, wireless keypads, motion sensors, and glassbreak detectors. Our mobile solutions let you arm and disarm the system remotely. The system also features a cellular back-up in case poor weather or purposeful interference with landlines. Responding rapidly to a fire emergency is critical to saving lives and reducing damage to property. Our fire alarm solutions utilizes the latest technology and reduces to seconds the time between fire detection and notification. Our smoke detectors use photoelectric technology, making accurate alerts and reducing false alarms. Automatic sprinklers can be activated when heat is detected, taking control of the fire before emergency units arrive. Carbon Monoxide is a colorless, odorless gas, that can cause sickness or death in employees and customers if not properly detected. We place carbon monoxide detectors strategically throughout your business to detect and warn you of a toxic buildup of the gas so that occupants can evacuate quickly. Additionally, our monitoring center is immediately notified so that help can be dispatched if needed. Our service plans also includes Carbon Monoxide detector replacement every five years, ensuring you will always be protected. 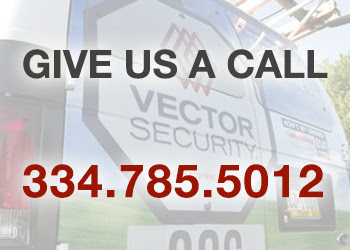 Safe Trust Security, a Vector Security Authorized Dealer, stands ready to secure your home and family. Whether you are asleep or away, our state of the art security systems give you peace of mind.